Does RUN have an affiliate or referral program? Yes! 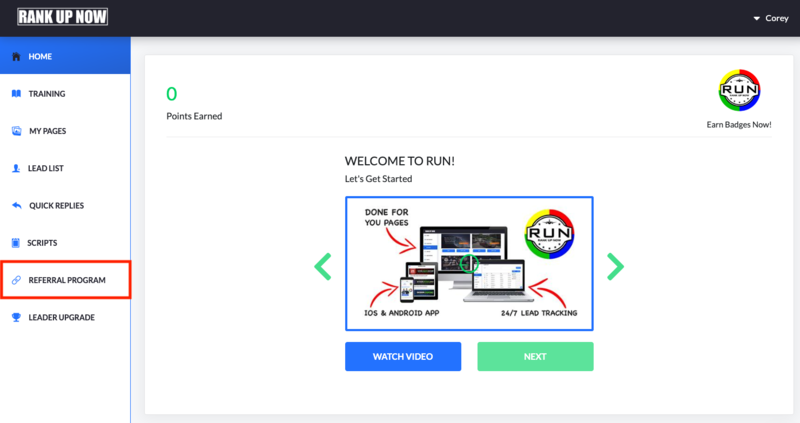 RUN has a referral program that rewards existing customer for sharing the RUN system and app with new customers. Log in to your RUN account. Click on Referral Program from the side navigation. From the Referral Program page, click on Sign Up Now. 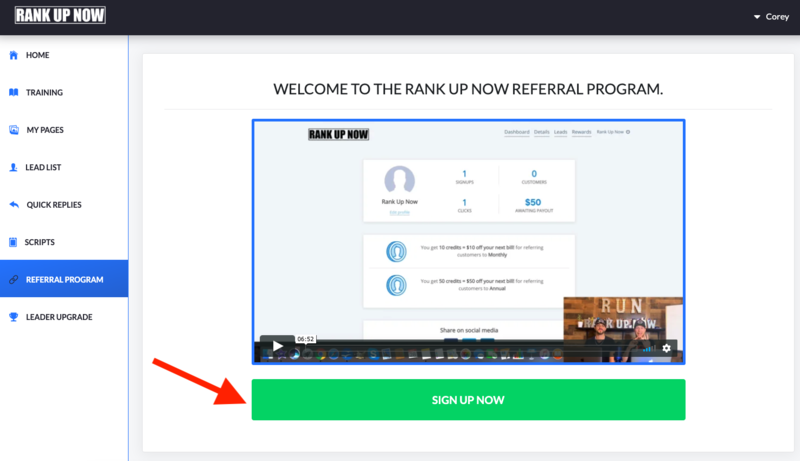 A new window will appear where you'll complete the process to sign up for the Rank Up Now referral program.